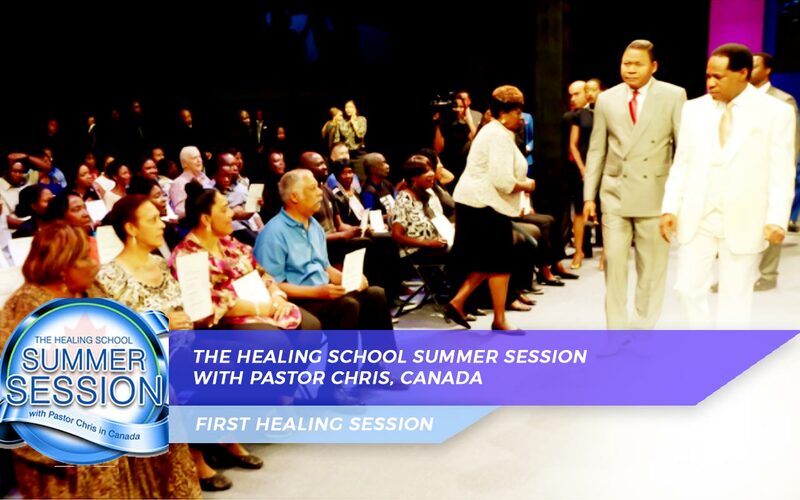 Expectations and excitement stirred up in an atmosphere of miracles at the Healing School. The air was abuzz with excitement and anticipation as many from different parts of the globe trooped into the venue for a superlative experience of the Spirit. The healing service kicked off with moments of intense prayer and intercession for the saints, as well as thanksgiving for the marvellous works that would be wrought by the hand of the Lord. The time of worship extolled the beauty and majesty of the great and mighty King. Nothing compares to His loving-kindness, and everyone present acclaimed His lordship over their lives with lifted hands and glorious songs of praise. Tales of triumph over stroke, hypothyroidism and more inspire faith at the healing service. First up was Hazel Providence, who suffered a stroke on the right side of her body. She managed the condition as best as she could, but after several similar experiences of pain and numbness in her leg, she decided to come to the Healing School. Pastor Chris ministered to her at a healing service, and that was the end of all forms of sickness in Hazel’s life. Nadya Merchant Lakhani woke up one day and got ready to go to work. On her way, she realized that she wasn’t moving as quickly as she usually would. That was the beginning of a dreary tale. For more than 22 years afterward, she would suffer the pain and discomfort that came with hypothyroidism. Told that she would have to live on medications for the rest of her life, she saw no way out until she heard about the Healing School. Sophia Kenlock desired a child for many years after her marriage, but she suffered many disappointments as 3 successive pregnancies all ended in miscarriages. With no solution forthcoming, she began to despair, thinking that her dream would never come to fruition. At the Healing School, one touch from God was all it took to heal her body. Sophia narrated her journey of victory and triumph with much elation, holding her very own baby Micah in her arms. Faith increased in the hearts of many in the auditorium, especially the students, leaving them confident that what God does for one, He will do for others under the same circumstances. What’s more? He is the God who is able to do a new thing!